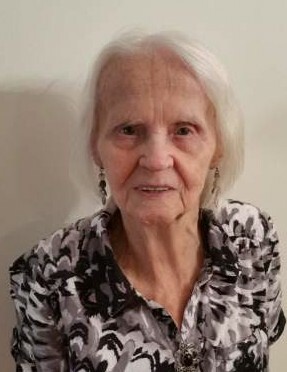 Florence, SC – Mary Elizabeth Everetts Mullins, 86, passed away on Feb. 1, 2019 after an illness. A funeral service will be Monday, February 4, 2019, at 6:00 p.m. in the chapel of Layton-Anderson Funeral Home. The family will speak to those attending after the service. A graveside service will be held at 12:30 p.m. Friday, February 8, 2019 in Franklin Hills Memorial Gardens,Canal Winchester, Ohio. Mary was born in Obetz, Ohio, the daughter of the late Roy and Ina Fields Everetts. She retired as a hostess with a seafood restaurant in Columbus, Ohio. She was a member of the Church of God. Surviving are two sons, Mitchell (Paula) Mullins, Ben (Lyndsey) Mullins; brother, Lloyd (Pat) Everetts; four grandchildren, Rebecca Gunn, Mitchell Mullins, II, Emily Mullins, and Sebastain Mullins and many nieces and nephews. She was preceded in death by her husband, Jack W. Mullins, a daughter, Wanda Casteel, a grandson, Quinn Lucca Mullins; four brothers, Clyde,Leo, Arnold and Kenneth Everetts.